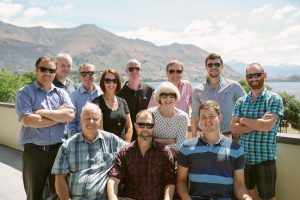 The countdown is on as we prepare to bring the Aspiring Conversations festival of ideas to Wanaka in a week’s time, from April 6 to 8. We hope you are as excited as we are about this year’s programme, which covers everything from history, to music, to astronomy to how our world is changing. 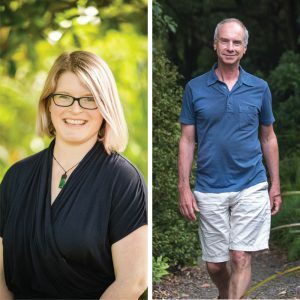 A national discussion about mental health has come to the forefront in New Zealand in recent years, and it’s a topic that will be the focus of one of our sessions at Aspiring Conversations next weekend. Holly Walker is a former Rhodes Scholar and was a Green MP from 2011 to 2014. Her book The Whole Intimate Mess tells the story of how she became one of New Zealand’s youngest parliamentarians, how motherhood intervened, and how she found solace and solidarity in the writings of women. Brent Williams is a community lawyer who develops resources to help vulnerable people. His graphic memoir Out of the Woods chronicles his own experience of depression and how he emerged from it. Listen to Brent Williams discuss his experiences with RNZ’s Kim Hill here. Both Holly and Brent travelled through dark times and have written and spoken about their journey – this will be a fascinating, and important, discussion. Book tickets here for Brent and Holly’s session. We still have some tickets available for a number of other speaker sessions and performances. 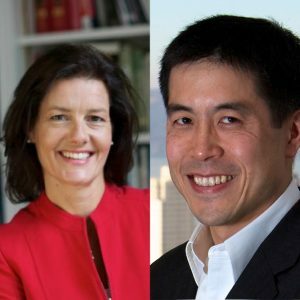 ‘The Future of Work’ with Professor Ngaire Woods and Dr Michael Chui. 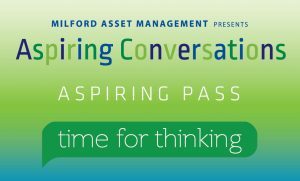 Book your tickets online through the Aspiring Conversations website or by telephone on 022 4 849 669. If you have purchased e-tickets, don’t forget to download them to your mobile device and bring them for scanning at the door. If you are collecting your tickets from the Lake Wanaka Centre Box Office, we’ll be open from Friday April 6 at 9am, and throughout the weekend. Aspiring Passes will also be available for collection at the box office from Friday April 6 at 9am. Remember: If you have an Aspiring Pass, please arrive 10 minutes before each session to secure your seat. Have your circumstances changed and now you can’t attend, or did you miss out on tickets for a session? Our Ticket Exchange Board will be up and running at Lake Wanaka Centre from the morning of Tuesday, April 3. We want all our sold-out sessions to have a full house! Please use of the Ticket Exchange Board if you have any spare tickets. The board has been very successful at past festivals.